Please note, we have now set up a documentation site for Divi Protect – check it out here to read the full documentation. To password protect a section on your Divi Website, please first download and install Divi Protect. Once installed you will see the new menu appear – Divi Engine. 1. 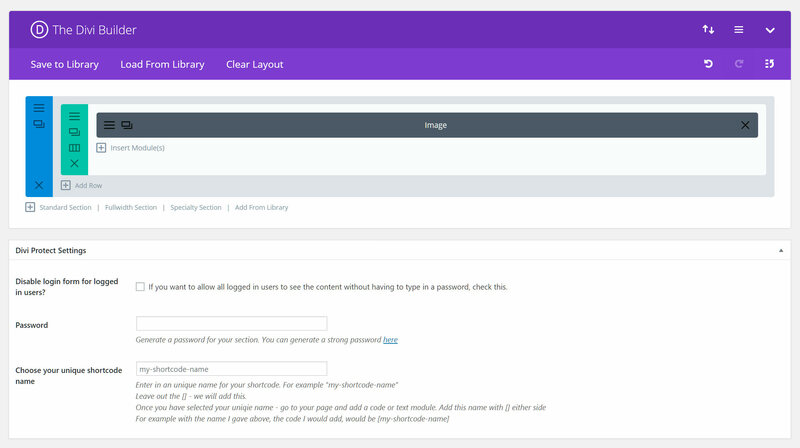 Hover over Divi Engine and click “Password Protect Sections”. 2. Click on “Add New” to add a new layout that will be password protected. Enable/Disable login form to be shown to logged in users. Choose a unique shotcode name – this can be anything, but it is advisable to create one that describes your content as when you look at the shortcode name, you can then know what is is showing. In the example below, I have just named it “password-protected-section”, you can name it anything really – for example “image”, “123” or “my_custom_shortcode”. 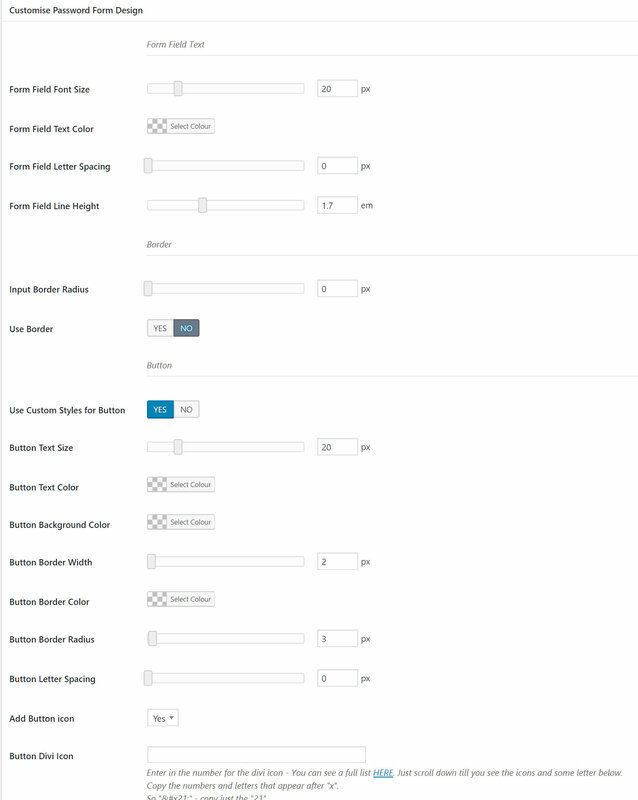 Use our simple colour pickers and number sliders to change the design of the form inputs and button to either match your design or have something completely different. Leave them blank to inherit your sites style. 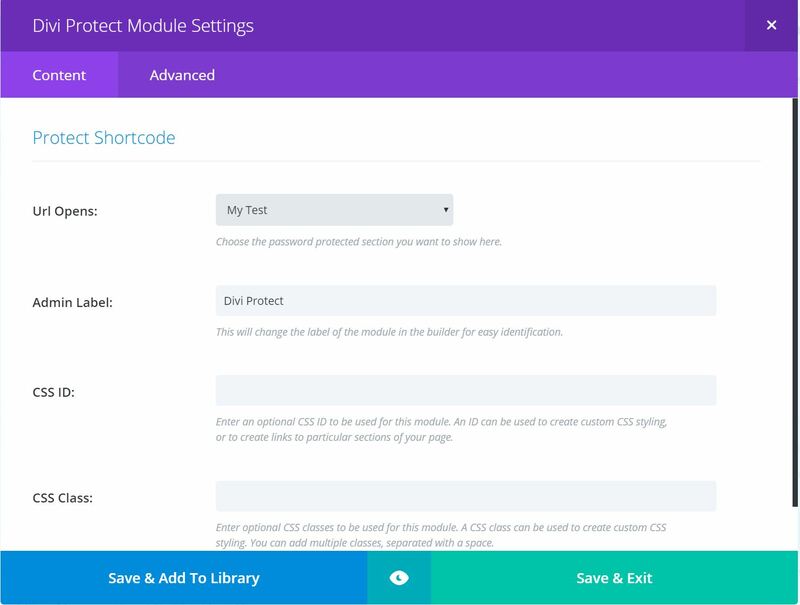 Now go to your page and add the new “Divi Protect” module. The only setting here you need to be concerned with is the dropdown. Select your section from the dropdown, give the module a name if you wish and save. Alternatively, you can add a shortcode. Add this shortcode that you have named in the previous step to either a code or text module on your page. For example: [password-protected-section] or [image] or  – what ever you called it, add  around the name. Visit your page to see the new login form.